Below you can view all the condos for sale in the Red Hills At The Pueblo subdivision located in Las Vegas Nevada. Listings in Red Hills At The Pueblo are updated daily from data we receive from the Las Vegas multiple listing service. To learn more about any of these condos or to receive custom notifications when a new property is listed for sale in Red Hills At The Pueblo, give us a call at 702-930-8014. All information is to best of Owner's knowledge -- and is subject to verification. MLS#2083827. Susan Maheu, Esq. Ltd..
Near Great Schools, Library, Hospital, Restaurants, Tivoli Village, Bocca Park, Golf Courses, Parks, And The Summerlin Pkwy. A Must See!! ! MLS#2078976. Silver State Realty & Inves. Water Is Included In Hoa Fee. MLS#2078268. Simply Vegas. Spectacular pool area & exercise facility - minutes from shopping, dining, entertainment & great freeway access! MLS#2078241. Real Estate One LLC. GREAT laundry room with all appliances included! MLS#2075557. 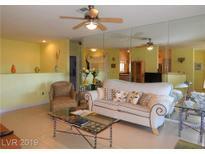 Monopoly Realty & Mgmt Inc.
Community has a Great Pool, Spa, and Exercise Room. MLS#2074894. ATG Realty Group. 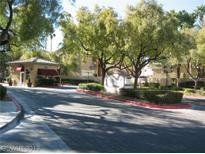 Guard gated community with many features including pool & exercise room. MLS#2070679. Assurance Realty LLC. Come see this lovely condo and you won't be disappointed! Come See! MLS#2068880. PARKER REALTY, LLC. Large balcony with access from both family room and master. Spectacular pool area and amenities! MLS#2061180. Signature Real Estate Group. Spectacular pool area & fitness facility - minutes from shopping, dining, entertainment & great freeway access! ! MLS#2026416. Real Estate One LLC.